Welcome to our PayPal Casino Guide. Online wallets are now established as the favourite way for gamblers to pay for their games, and PayPal is the granddaddy of them all. 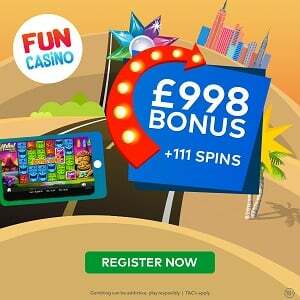 We’ll tell you how to find genuine PayPal casinos, how to use casinos that accept PayPal safely and legally, and how to enjoy PayPal online slots with complete peace of mind. PayPal is the best known online payment system. It is used by hundreds of millions of people (it’s hard to get up-to-date accurate figures, but in 2018 it’s probably around 200 million). It’s also used by many many trusted brands, websites, and increasingly bricks-and-mortar shops. People love PayPal. They trust it. They know it is quick. They’re pretty sure that PayPal will keep their money safe. When you make a PayPal casino deposit you do it with a good deal of confidence. And PayPal works both ways, accepting casino payments very quickly. Millions of people are using PayPal as an online banking service and they believe they’re getting great value out of it. PayPal was a pioneer in the online gambling industry. It was a natural fit. But in 2003, PayPal stopped working in the entire sector – no new PayPal casinos, no more PayPal online slots, nothing. PayPal probably didn’t do this out of the goodness of its heart (while Silicon Valley start-ups like to make nice noises about human flourishing they tend to be as cold-hearted as any other business). This happened three years before the passage of the Unlawful Internet Gambling Enforcement Act (UIGEA) in the United States. However, at the end of 2002, the Supreme Court of the United States made decisions that affected the legality of internet gambling. The legal status of gambling in the US is complicated. It seems extraordinary to people in the UK or Europe, but gambling is still completely illegal in large parts of the world’s biggest capitalist market. Las Vegas in Nevada has become a worldwide gambling attraction by revelling in its exception to this rule. It seems perfectly feasible to say that PayPal, which had big ambitions, which it has fulfilled or even surpassed, just decided to duck out of a legally unclear situation that had a potential to impact on its wider plans. In any case, the motivation is a side issue, what mattered to PayPal gambling sites was the fact that PayPal exited the market and stayed out until 2010. So, now PayPal is back, and it is a major market player again, with considerable clout to throw around – in the shape of all those advantages we’ve listed above – and perfectly placed to be part of the future of online gaming as legal changes in America in 2018 make a full legalisation much more likely. So players know that a PayPal sign on the front page of an online casino is a great sign. And sites know this, so they’re super-keen to ally with the payments giant and offer PayPal casino deposits and withdrawals. Current market conditions suggest that customers and sites are both willing to pay a little extra in terms of fees and limits on some facilities to get the peace of mind that comes from finding casinos that accept PayPal. So where can you make a PayPal casino deposit? There are far too many PayPal gambling sites to list here in their entirety. Almost any list you find will be out of date as soon as it’s published, so your easiest guide is an up-to-date PayPal logo on the front page. PayPal casinos though tend to be big names. PayPal has heft and can demand more from its partners than other payment processors so it can get a better deal. Carrying PayPal logos is prestigious so it’s worth it for the casinos. Among the most popular sites currently accepting PayPal are some of the major online casino brands. That’s a start, but there are thousands more, and so dominant is PayPal as a payment processor that there’s no limit to where it could go from here. Will it drive out other operators like online wallets, Skrill and Neteller? It’s unlikely, but it will squeeze them. Prepaid cards that allow you to use cash online – like Paysafecard and Entropay for example – are in a slightly different market. One thing we’ve learned from watching the internet gambling world is that if something is very popular and desirable bad people will use that popularity and desire to try to scam people. Look out for rip-offs! This goes beyond casino sites or just PayPal slots. Where PayPal is available at a casino it is likely that it will be available across its whole offering. There’s a chance that you may lose out on some bonus payments, and it’s possible that withdrawals may be slower than by some other methods. You might also have to get used to paying small fees around your PayPal use, but where you can play online slots with PayPal, you should be able to play PayPal roulette, PayPal blackjack, PayPal baccarat and so on. We’ve made the point that PayPal is picky about who it works with and what it allows. That means that PayPal still limits a lot of activities. That’s quite a high bar. It’s notable that when New Jersey recently legalised some online gambling, the company they picked as a preferred and regulated online wallet wasn’t PayPal, but the British owned Neteller. You should be aware of this not just as a gambling site user, but also as a PayPal user because if you’re found to be violating PayPal’s own terms of service you could be in trouble. This includes “any form of gambling”. Seriously, if you bet £20 on a football game with your friend and send them their winnings – let’s pretended you bet on Chelsea and they lost – via PayPal you could be putting your account in jeopardy. This includes lotteries, personal wagers, bookmaking, sweepstakes and even the “recording or registering” bets with accounts that haven’t been approved by PayPal. This is fine, by the way, we approve of anything that promotes legality and caution around gambling. However, you should bear it in mind as you cruise around the web looking for a bet to take on – that is if you want to keep your PayPal account. So what you’re after is a legitimate online PayPal casino. Unfortunately, there are plenty of opportunities to see dodgy sites trying to take advantage of this. Unfortunately, it’s easy enough to mock up a PayPal logo and a link to some dodgy account, so keep safe when you make a PayPal slots deposit. 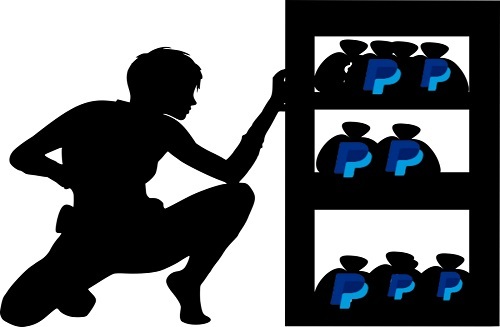 Once you click the link to go to your PayPal account make sure that you are at the right site, which is www.paypal.com. Why gamble online with PayPal? We haven’t really yet covered the functionality of PayPal gambling and why it’s so good for players. First of all the security is a gold standard, both in PayPal’s own payment systems and in the companies that they work with. We take PayPal for granted but online wallets have huge advantages over their immediate predecessors – debit and credit cards. Those cards were a great leap forward, allowing some sort of electronic payment, but online wallets offer another level of internet functionality. It’s a way to use your bank account without directly exposing your bank account to the world online. And it’s very convenient. You should be sure that you’re happy with the way your PayPal account is set up though because you can set your account to automatically link to your bank account and take funds from there if you don’t have the funds in your PayPal wallet. You may feel this – even with an onscreen warning – makes it too easy for you to make an online PayPal casino deposit. Most PayPal casinos allow free deposits. At least they’re free to the end user. They’re probably not free to the casino, but they’re kind enough to pay those fees when you’re giving money to them. They’re not always so generous when the money is flowing the other way. A 3% fee for a PayPal transfer is not unusual, but if you’re not keen on unhappy surprises then check out the details on this as you sign up at a site, not when you’re about to throw your phone out of the window over the £3 missing from your big win. We will never tire of telling our readers to read the small print! Maybe not all 125 points of a full agreement, but at least the shortened version you’re required by law to be shown. And take special care with reading the parts of the agreement that relate to security, payments, and withdrawals. So once you’re happy with your casino site you can make your first deposit. You should decide before you get to a payment screen how much you would like to deposit. This is because the casino would like you to deposit as much money as possible. That’s because they know you’re likely to play with most of that money and very likely to give it to them. Honest casinos won’t try to trick you, but good marketing can include drop-down menus that include fees much larger than the minimum deposit. So weigh up the bonuses, how much you like the site and what’s a safe amount for you before you select the PayPal option and log in to your payment account. So after cashing up your account, you’ve played for long enough and passed the minimum withdrawal threshold (always check this too!) and you want to get your money out. Casinos like to – and will sometimes enforce – make payment to the same method that you deposited money with. PayPal casino withdrawals should be fast and easy, just a matter of clicking a drop-down menu. We’ve argued that you should be aware of any fees well before you get to this stage, but even if you aren’t you should be told this as you make your withdrawal. Then you’ll get a confirmation. We suggest that you should also check your PayPal balance as soon as possible to see that you’ve actually got the money you were promised. If there are any problems then you should raise it with both PayPal and the casino as soon as possible. If you have the tech know-how then take screenshots of all transactions as you go along. This might seem like a lot of fuss, but you never know the value of House Burning Down insurance until you don’t have it and your house burns down! We’re sorry if this article has seemed like a lot of lecturing. Don’t allow it to worry you, and don’t allow it to put you off using legitimate PayPal casinos, to enjoy playing PayPal blackjack or making PayPal casino deposits. 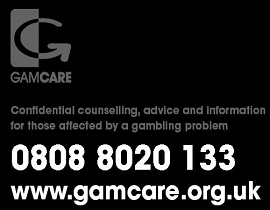 Most of these warnings and precautions are just a simple common sense for online gamblers in any circumstances. This business involves transmitting money across the internet, tools like PayPal and fun, legitimate casinos help to make this one of the best and safest way to spend your time and money online.